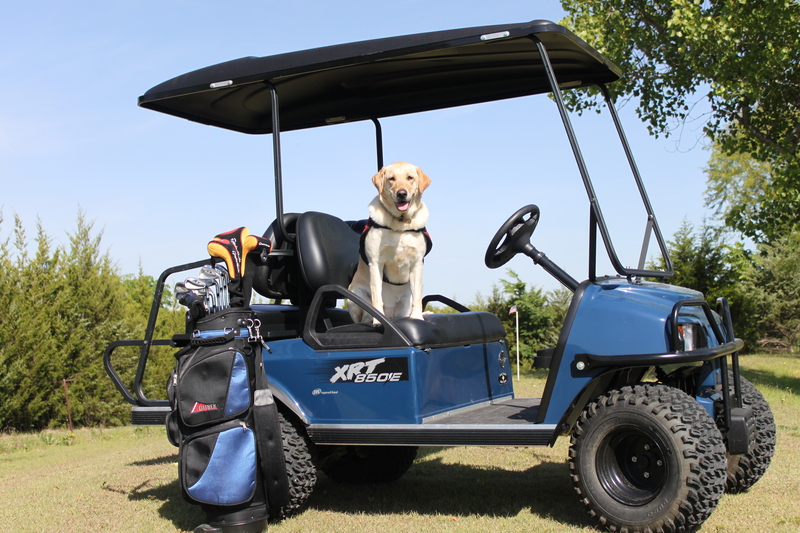 The Dallas Assembly of the Brotherhood of St. Andrew and Patriot PAWS Service Dogs are gearing up for the 7th Annual Charity Golf Tournament on Tuesday, May 15th at Firewheel Golf Park in Garland. The tournament is a 4-person Florida Scramble format with all proceeds going directly to Patriot PAWS. The Patriot PAWS Charity Golf Tournament has been the Brotherhood’s primary fundraising event for the past six years and has raised over $90,000 to help the Rockwall, TX-based non-profit. The mission of Patriot PAWS is to train and provide service dogs of the highest quality at no cost to disabled American veterans with mobile and other disabilities, in order to help restore their physical and emotional independence. Tournament day check-in and registration begins at 11:30 am, and tee time is 1:00 pm. The entry fee for individual golfers is $135, and includes cart fees, driving and putting ranges, Chick-fil-A box lunch and Awards Dinner. Corporate, individual, and team sponsorships opportunities are available. Donations are welcomed and appreciated. For registration, sponsorship and more information, please visit http://www.brothersandrewdallas.org/bsta-store/ Questions? Please call Jim Vineyard at (214) 862-7272. This year marked our 10 year anniversary with TDCJ. This is a slideshow of the two week graduation. We’re super excited about the 2018 Fur Fun Run! Whether you’re a runner or just want to do the 1-mile Pet Stroll, you don’t want to miss this PAW-ty! Click here for more information and to register for this fun event. 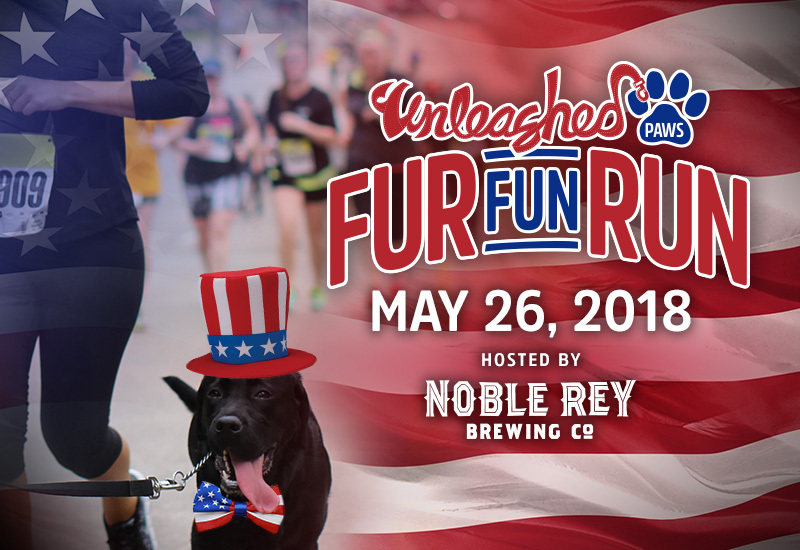 A big THANK YOU to our friends at Unleashed Paws and Noble Rey Brewing Company for supporting Patriot PAWS! 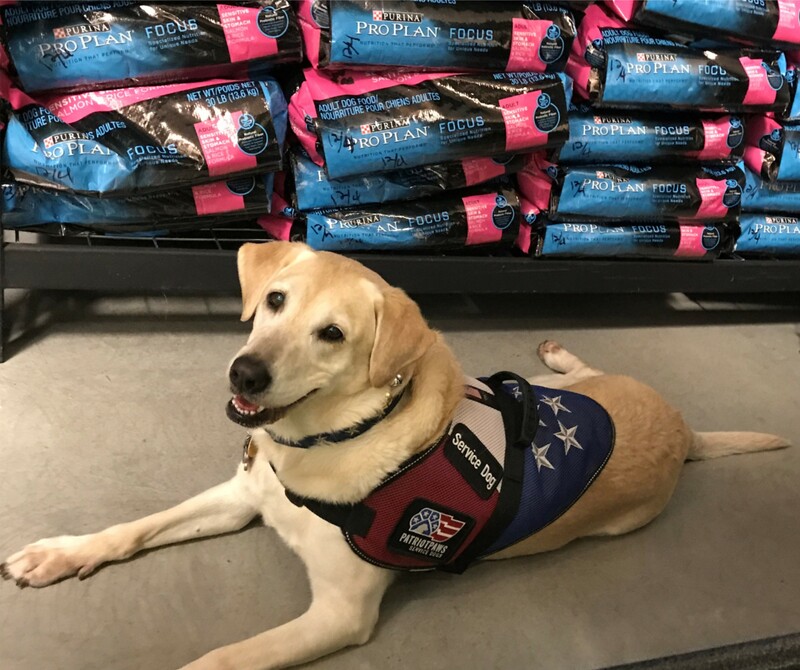 Pet Supplies Plus and Natural Balance teamed up to raise money for Patriot PAWS this past November – they raised $55,000! Watch the Check Presentation and learn more about the generous support of these two awesome companies! 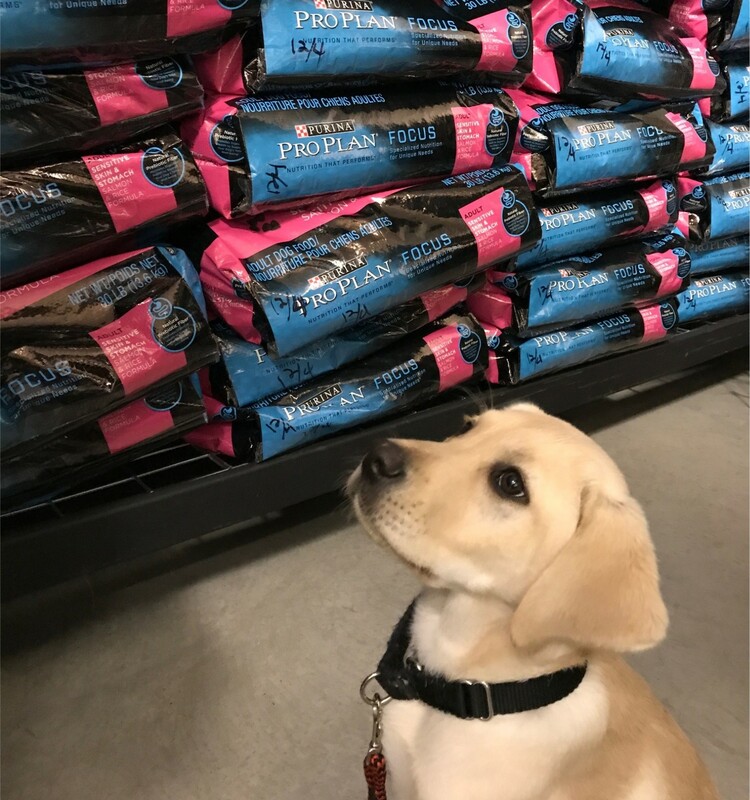 Patriot PAWS Service Dogs received a generous donation of Pro Plan Focus dog food from our friends at Purina Pro Plan! At Patriot PAWS, we feel confident feeding our dogs Pro Plan Focus. Not only do we respect Purina’s scientific expertise in pet nutrition, physiology and behavior, but we have seen first-hand the positive effect that this high quality dog food has on our dogs’ skin, coats and general digestive health. In fact, our own in-house nutritional and digestive health study directly links a positive trend in our dogs’ digestive health with their Pro Plan diet. 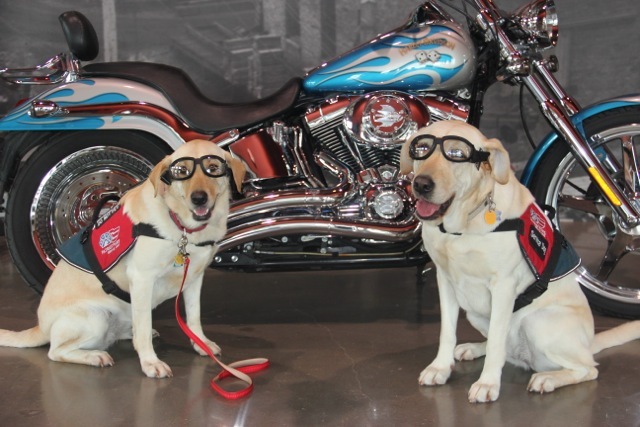 Additionally, Patriot PAWS service dogs in-training consistently exhibit shiny coats and healthy skin, which we also attribute to a Pro Plan diet. The mission of Patriot PAWS is to train and provide service dogs of the highest quality at no cost to disabled American veterans. These amazing dogs work hard and play hard every day, and deserve to be fed a diet like Purina Pro Plan that keeps them looking and feeling their best. Thank you, Purina, for your support! Be inspired by Patriot PAWS Aggieland Trainer, Cindy Sutton’s, #WhyIGive story! Veteran Coordinator, Aaron Mixell, shares his passion for helping disabled veterans.